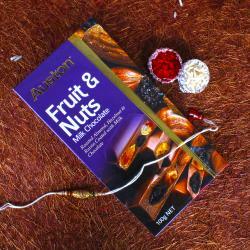 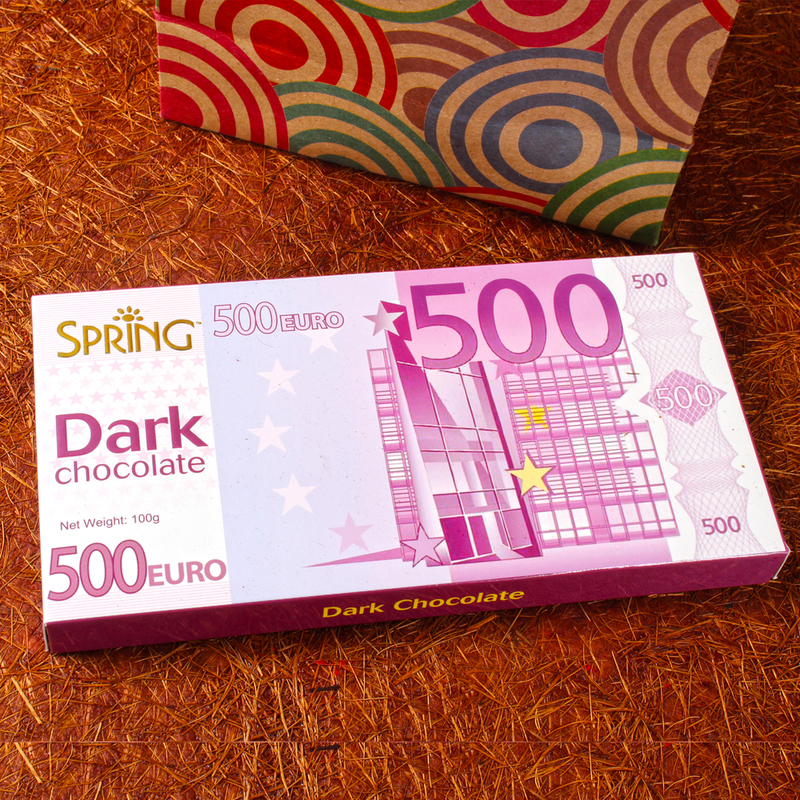 Fancy Rakhi, Spring 500 Euro Dark Chocolate Bar (Weight : 100gms), Packet of Roli Chawal. 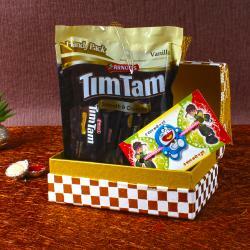 Does your brother like grand surprises on special occasions. 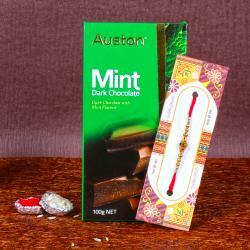 Check out this amazing combo online which contains a Rakhi in addition to some traditional Roli Chawal. 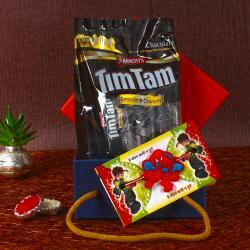 Both these items promise to be spectacular surprises for your Bother on Raksha Bandhan. 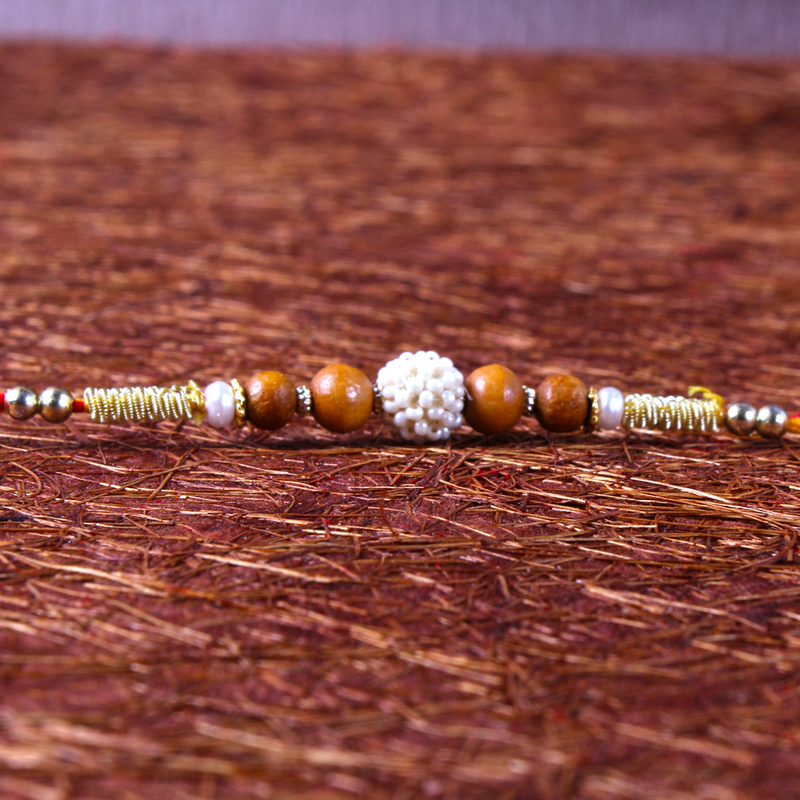 Raksha Bandhan is one occasion where you should definitely pull out the stops to convey your warmth and affection to your brother and this makes for the perfect combo. 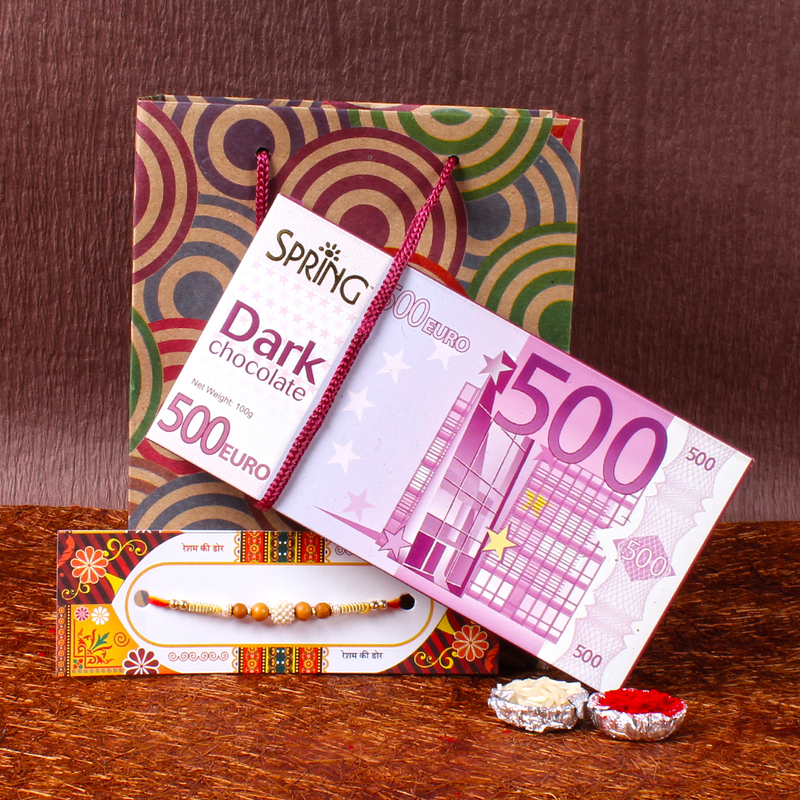 This beautiful Rakhi Combo includes: Fancy Rakhi and Imported Spring 500 Euro Dark Chocolate Bar (Weight : 100gms) along with Packet of Roli Chawal.